When was the last time you went to a dentist with your little one? Do you remember the first thing he or she advised? Well, most of the time they instruct parents to let their kids brush for at least two minutes. Interestingly, even American dental association underpins that idea. So, never ignore what dentists say! It’s essential that your child brushes this long in the morning. If you feel that it will be tough for him or her, then the best idea is to divert his or her attention while he or she is at it. For example, you can sing songs to him or her, allow him or her to watch their favourite cartoon show while brushing or help them develop a habit of counting up to 120 when he or she brushes his or her teeth. There are thousands of ways to do this. 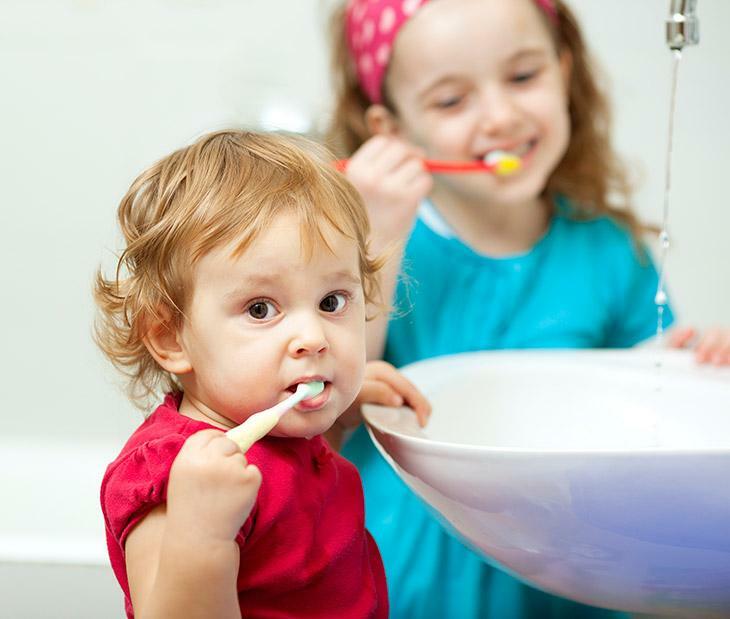 Whatever works for your child, but stay focused on the goal which is to keep them brushing for two minutes! Kids will be kids. They will not stop moving around from the moment they wake up in the morning. What are the odds that they won’t be when they are brushing their teeth? As a parent, you understand that their moving habits can prove to be dreadful especially when brushing their teeth. If your child has the habit of bouncing around while brushing, then chances are he or she might hurt his or her gums. However, as a parent, you are also the best person capable of not making this daily experience scary at all. It is your job to make brushing their routine. How, you ask? Simple! 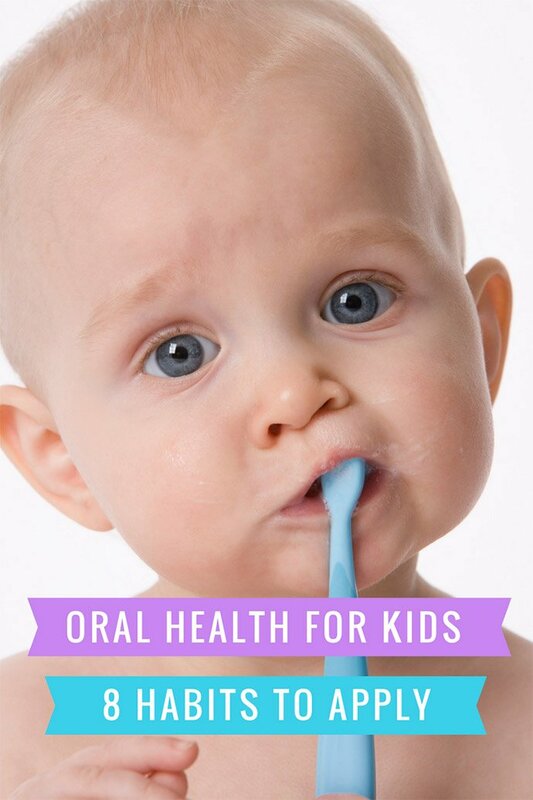 Make it a habit for your kid to sit on a seat while you brush his or her teeth. Well, that is easier said than done. If they don’t seem to listen to you, then putting down your foot now and then may work. There’s nothing wrong with being a little strict, especially if you know this is what’s best for their pearly whites! Once it becomes a habit for your child, then there won’t be less tantrum thrown out at you. Additionally, if you bathe your kid before bedtime, do all the scrubbing while they sit in the tub. That should help with the training. Well, technically not completely. What I am saying is that you limit their sugar intake in such a way that it does not become a habit. Studies show that sugary foods can gradually erode their teeth enamels which may lead to cavities. However, if limiting their sugar intake is next to impossible, then teach them to rinse their mouth and brush their teeth after eating. This will help wash the extra sugars. The same solution holds true for sweetened medicines that you give to your child. They are kids and you can’t keep them away from the dusty playgrounds! Aside from the fact that playing outdoors is one of the best physical activities for them as well. However, keeping your kid’s mouth safe while playing cricket or football is crucial. Hence, having him or her use a premium-quality mouth guard is on the list. In fact, a relevant research study proves the same fact. This will help protect them from any harsh substance present in the air. A perfect mouth guard is nothing but a soft retainer which is made out of plastic. It can be used by children to cover their teeth and lips. With such cover, your kid’s mouth will be protected from any germs that can be dreary not just for their teeth but their bodies as well. Additionally, wearing a mouth guard can even be helpful in preventing any mouth injuries. How Can You Make Kids Wear Mouth Guards? Customize! Yes, these mouth guards for kids can be customized. You can talk to his or her dentist about this. I’m sure he or she knows what designs click with kids. As per NCBI, fluoride is an excellent chemical that should be present in your little one’s body up to a required extent. Anything less than that can cause dental problems to your kid. Most brands of toothpaste available on the market claim to have fluoride in them. However, this alone is not enough for your kid’s needs. Plus, the water that you drink at home might not be fluoridated enough. Thus, it is best to ask your child’s doctor to give him or her some fluoride supplement. To protect your child’s teeth, he or she should meet the required amount of fluoride for his or her age. Warning: Flouride deficiency is not the only problem here. You will spoil your child's dental health indirectly if you let him or her consume more than what he or she needs. It might cause them teeth discolouration, too! Again, it is always best to consult your dentist before taking any action. 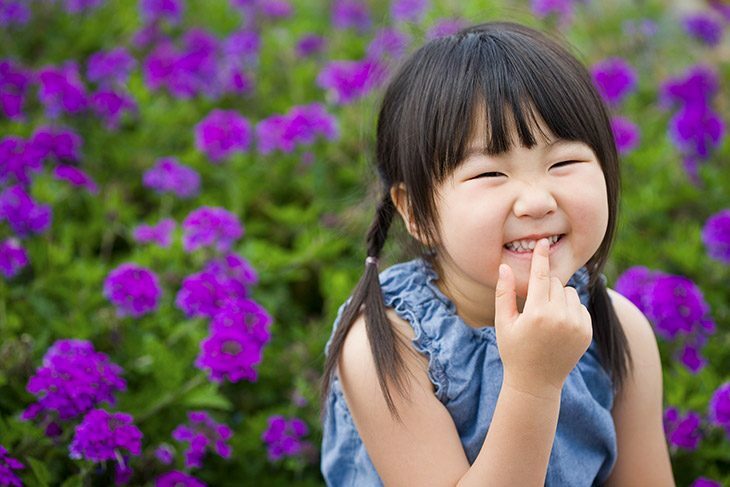 Good dental habits are obviously necessary to maintain strong teeth for children. But it doesn’t stop there. In fact, it goes deeper to his or her overall nutrition. If your child munches on fresh fruits and veggies more, then it will help them maintain clean teeth. So, whenever you plan meals for your kid, include a lot of fibrous foods as much as possible. Research shows that healthy food is not only good for your kid’s overall health, but it also serves as a boon for their teeth. When it comes to picking up a toothbrush, let them be their own judge. If you allow them to do so, then they will feel happy and eager to brush their teeth with it. You don’t even have to force them or deal with tantrums. How cool is that? Why, if this goes out well you might not even need to convince them to get up and brush their teeth first thing in the morning! What to Look for in Kids Toothbrush? The toothbrush should have a sturdy body, enough to fit their small grip, and with soft bristles, gentle enough for their little mouths. There is also this spin brushes which are fantastic for children. A spin brush can easily wash away all the little spots in between those small teeth. Perhaps, you can take them in that section of the store and have them choose what they want. We all know that children gradually go through a significant phase of growth spurts. Their pediatrician may suggest that you feed them a protein snack at night. However, as a rule of thumb, brushing your kid’s teeth should be the last thing they do before they go to bed. The women’s and children’s health network thinks so, too. Why? If the residues of food remain in your child’s mouth overnight, then more often than not, it will cause tooth decay. Again, no food munching before bedtime! These are some of the most effective and proven kids dental care tips. 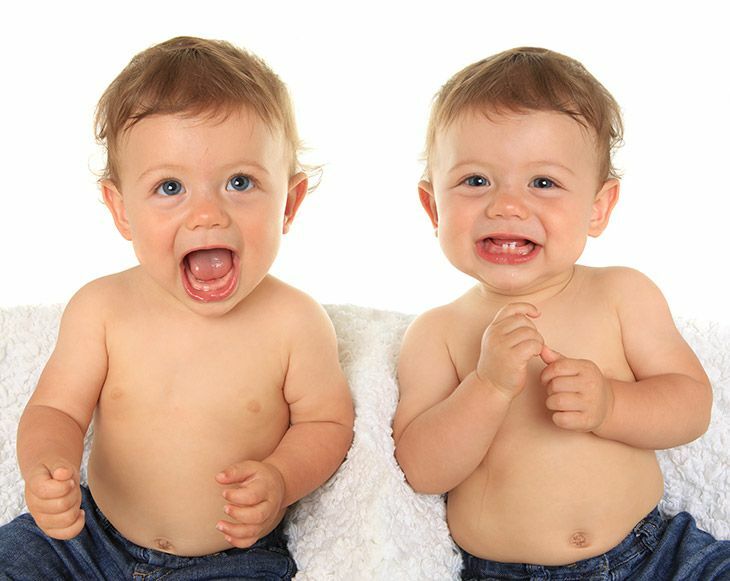 Follow them religiously and your little one will have one of the best pearly whites for the world to see! Yes! A proper dental care during childhood is the key to a sound oral health for the rest of one’s life. Joseph Payne is the marketing manager at CouponsMonk.com, deals, and discounts provider company. He is passionate about money savings, investment, and finance industry. In addition, Joseph also supports non-profit agencies that provide healthcare solutions to handicapped and disabled people.